We've been quiet here but more is happening this year end. 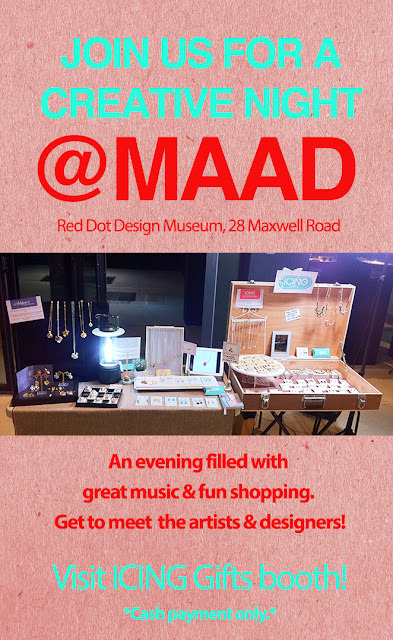 For a start, drop by this Friday @ Red Dot Design Museum and pay us a visit at our booth. Take a look at our new creations and collections and see what goodies we have in store for you. There's even DUSK rings for the first time! Just note that we accept cash only, so do bring more to avoid disappointment with all the goodies around.